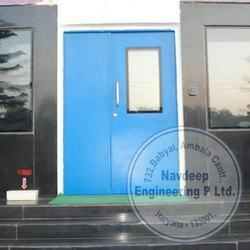 We at NEPL manufacture a variety of Doors to suit our clients' particular industry applications and specifications. We are the leading Manufacturer, trader and service-provider of Fire Rated Doors. Our doors are having unique combination of integrity, stability and aesthetic value to withstand specified fire ratings. The quality controllers of our team stringently inspect the offered product range to ensure flawlessness. 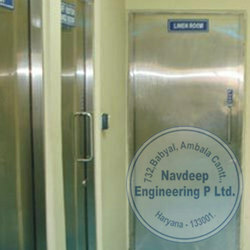 We are the leading Manufacturer, trader and service-provider of Stainless Steel Doors. Furthermore, these offered doors are loaded with several attributes such as longer serviceability, resistance against corrosion and sturdiness. 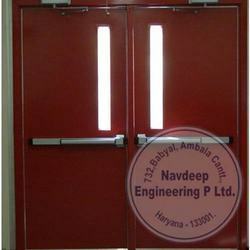 We are the leading Manufacturer, trader and service-provider of Metal Doors. Doors are Capable of accepting glazing in many configurations with air vents, louvers and a wide range of hardware. They offer higher protection against vandalism, fire, burglary and are relatively maintenance-free. 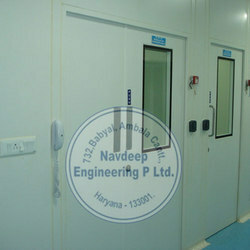 We at NEPL Manufacturer, trader and service-provider a high quality Clean Room Doors, made by using galvanized steel. These doors can be tailor made to suit the varied requirements of the esteemed clients. Available in different specifications, Clean Room Doors are widely acknowledged by the customers. Looking for Customised Doors ?